In Japanese, ko 子 literally means "child," or "kid," but it can be used to refer to adults, people younger than you, and even animals or machines. Let's begin with its literal meaning: "child." As one would expect, it works just like in English most of the time. For example, ore no ko 俺の子 means "my child." The compound oyako 親子 means "parent (oya) and child." A maigo 迷子 (go is rendaku pronunciation) means "lost child." And so on. One important thing is the difference between ko 子 and kodomo 子供. A ko 子 is just somebody's child. Born from someone, sometimes, somewhere, something. Meanwhile, a kodomo 子供 is normally a "child" is the sense they're young. That is, they aren't an "adult," otona 大人, therefore they're a "child," kodomo 子供. Note that domo 共 is usually a pluralizing suffix, so you may mistakenly think that kodomo is the plural of ko. This isn't true. The word kodomo is singular, well, it may be plural, but that's because of how plurals work in Japanese. Anyway, you can say things like kodomotachi 子供たち to refer to multiple children if you need. The word kodomo is often used alone, but ko frequently has an adjective of some sort accompanying it, forming new words entirely. 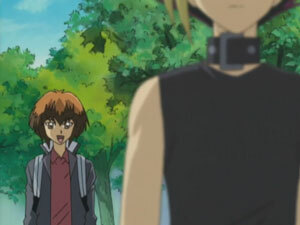 Also, ko can be used to refer to people in general in ways kodomo isn't used. Sometimes, ko 子 doesn't mean "child," but is instead used to refer to someone, who may even be an adult. This often happens when ko 子 is qualified by some adjective. Of course, in manga and anime, which are often set in high school, there's too few "adults" around talking about each other so you will rarely see it used that way. But the point i:, it's not always used toward little children, it can be used toward someone of the same age or younger than the speaker. The person [who's] over there. The kid [who's] over there. Context: an old woman gives advice to an adult woman. Here, "that boy" refers to Rock, who is an adult man, but nonetheless a "kid" to the speaker who's a much older woman. The word ko 子 can also refer to an animal instead of an adult or child. Again, there's some nuance to it, but basically it's normally used toward pets or animals the speaker holds dear, or when they think the animal is cute, or something like that. 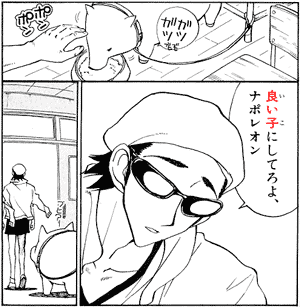 Context: Harima Kenji feeds Napoleon. Be a good [pig], Napoleon. Harima Kenji leaves Napoleon behind. The word ko 子 is also be used toward objects sometimes. This happens when the speaker holds the object dear is trying to humanize the object by referring to it like a person. One case this often happens is when inventors refer to their inventions, machines, weapons, etc. as if they're their children or pets. The word ko 子 has certain nuance. In particular, ko 子 and hito 人 are almost synonymous, but they aren't perfect synonyms. There are times when you can't replace hito 人 by ko 子 and vice-versa. To start with the obvious: while animals, pets, objects, machines, inventions, etc. are sometimes referred to as ko 子, "kid," you would never refer to them as hito 人, "person," because they aren't people. Unless it's an android or something. So that's an use ko 子 has that hito 人 doesn't have. When ko 子 is used to refer to a person, it's always used to refer to someone who's the same age or younger than you. It's never used to refer to someone who's older than you. After all, ko 子 literally means "child," and a child is young, not old. Of course, hito 人, "person," doesn't have this limitation. Note that this is similar to how "kid" is used in English. Sometimes you have someone who's very old calling an young adult a "kid" even though they aren't little children. That's because, compared to an elder, a young adult is a "kid." The reason why ko 子 can be used toward pets and the like is because ko 子 has a nuance of endearment. Just like children are dear to their parents, pets are dear to their owners, and The Pulverizer 3000 is dear to the mad scientist who invented it. But ko 子 can also be used toward animals which aren't pets owned by the speaker. This happens because endearment is usually toward "cute" things. Which means ko 子 has two nuances: it either means the ko 子 is "dear" to the speaker, or that the speaker thinks the ko 子 is "cute." So the same speaker may use ko 子 toward a small animal they find cute, like a cat, or hamster, but not toward an uglier animal, like a gorilla or something. These are exaggerations, however. Most of the time people use ko 子 without thinking much about it. But the connotations the word has helps explain how ko 子 is used and how it's not used. Usually, when we hear "cute" we think it's a good thing. It's a compliment, right? But sometimes, "cute" can have a negative meaning: it can mean you're not getting taken seriously. Just like a "child" isn't taken as serious as an "adult," sometimes referring to someone as ko 子 can piss them off, because they feel they aren't getting treated as an equal, they feel they're being referred to as a cute little child who can't do the difficult stuff the grow ups can do. This happens, for example, when someone who has just graduated school enters a company. They're the newest kouhai 後輩, "junior," of many senpai 先輩, "seniors." On the other hand, you may see ko 子 used with this "inferiority" nuance on purpose: when a character is trying to humiliate another, refer to them like a child. Or maybe the character simply thinks he's superior somehow, so they just pretentiously say ko 子 naturally. Because of all the reasons above, ko 子 tends to be used more by women and toward women than by men and toward men. To elaborate: ko has this endearment, cute-ish, child-ish, etc. nuance. So if a guy call another guy ko 子, it sounds weird. Guys don't like the idea of other guys calling them cute. It's not a macho compliment. If you want details, go to a gender studies blog, this is a Japanese blog. A guy can refer to a girl by ko 子. That happens. And a girl can refer to a guy by ko 子. That also happens. You'll see that, sometimes, in romantic songs, the phrase ano ko あの子, "that kid," means "that guy" or "that girl" that the speaker loves, depending on the gender of the speaker. Point is: guys don't call guys ko 子. But girls call girls ko 子. 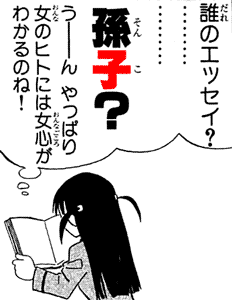 Sometimes, the word musume 娘, "daughter," is read as ko 子, "child." This is an artificial reading, a gikun. 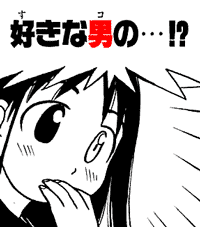 When it happens, it implies the ko コ in question is a girl instead of unspecified gender. Even though it's a chance [for me] to be able to go to the [beach] with the girl [that I] like!! The spelling ko 娘 is a common way to make it explicit that the ko コ is a girl, but there's no common way to make it explicit the ko コ is a boy. To elaborate: sometimes you see a phrase like ano ko あの娘, and you read it as ano ko instead of ano musume, mostly because ano musume sounds like "that girl! That damn girl!!" Which is may not fit the context. But there's no male kanji that has this same property, that people naturally read as ko コ. ...of the boy [she] likes!? Finally, kko っ娘 is a suffix added to words that refer to different types of girls, specially in anime. For example: meganekko メガネっ娘 is a "glasses girl." For reference, some words which contain ko 子 and what they mean. Normally it's just called meeru メール, though. 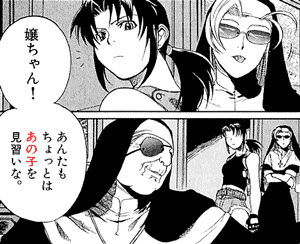 The word kobun 子分 is often seen in manga with lots of gangsters. It means the people under someone else, their followers, gang members, henchmen, etc. It has nothing to do with children. What happens is that, in the past, kobun meant an "adopted child," and it probably morphed into the modern meaning because gang members kind of were "adopted" into gangs like children. An odoriko 踊り子 is a "dancer," literally "child [who] dances," but less literally a "girl [that] dances." As we already know, ko 子 has a "cute" nuance, and it's not normally girls, not guys. 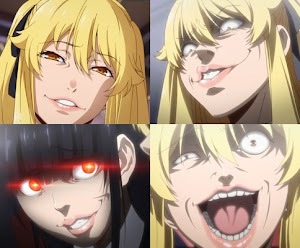 It makes sense the odoriko would be a cute girl, not an ugly guy, or even an ugly girl. Of course, the word could refer to a "cute guy" who's a dancer, since ko 子 is technically gender-less. But normally it refers to a girl dancer. This is just like "belly dancer" is technically a gender-less word, but you probably imagined a girl when you read it anyway. The phrases otoko no ko 男の子 and onna no ko 女の子 mean "boy" and "girl" in Japanese, respectively. Grammatically, they're the nouns otoko 男, "man," and onna 女, "woman," followed by the genitive case marking particle no の, which turns them into no-adjectives, that qualify the word ko 子. A child [that's] a man. A child [that's] a woman. Note that when otokonoko 男の子, "boy," is written with musume 娘 instead of ko 子, which as we've already seen implies the ko 子 is female, it's a Japanese anime slang that translates to "trap" in English: otokonoko 男の娘, literally "a girl [that's] male," i.e. a boy that looks like a girl. The word hitonoko 人の子, "person's child," refers to basically any "human" creature, child or adult. Any human. You can imagine a demon or deity or non-human being saying hitonoko 人の子 to warn about humans. The term tsuchinoko 槌の子, "hammer's child," makes literally zero sense. After all, hammers don't give birth to smaller hammers. Or to nails. Or to anything, at all, really. This word is actually cheating: tsuchinoko is the name of a mythological snake in Japan's culture. The words ii ko 良い子 and warui ko 悪い子 mean "good kid" and "bad kid" respectively. 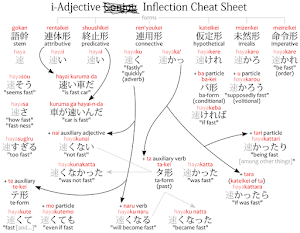 They're antonyms, of course, just like ii いい, "good," and warui 悪い, "bad," are antonyms. But what makes a good kid "good"? Generally, it's about being well-behaved, respecting their parents, not making much mischief, etc. Often, these terms are used to warn children about what happens if they're a "bad kid" or a "good kid." Like saying Santa won't give presents to "bad" i.e. "naughty" kids, etc. Sometimes, ii ko and warui ko are used toward adults, regardless of gender. When this happens, it's never in a serious way. It's either in a joking, playing, or mocking way. They're also used toward animals, pets, like when teaching tricks like fetch, etc. In this case, it could be understood as "good boy, good boy," when teaching dogs, for example. Sometimes ko 子 isn't used as a noun after adjectives but as a suffix instead, in which case it becomes kko っ子 instead of ko 子. 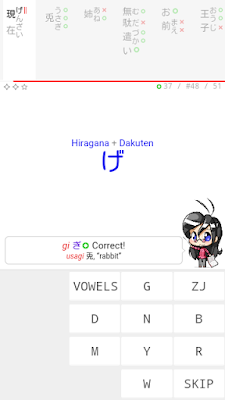 This sort of change of pronunciation, which adds a small tsu っ before the suffix, is called sokuonbin 促音便. An ijimekko 苛めっ子 is a "child," ko 子, that "bullies," ijimeru 苛める, other children. This one is (hopefully) literally a child. A way to translate ijimekko is simply "bully." An ijimerarekko 苛められっ子 refers to a "bullied child." 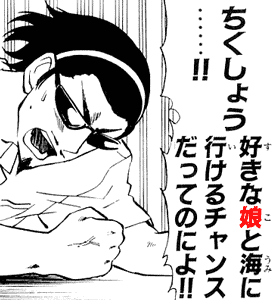 It's the same verb, ijimeru 苛める, but this time is its passive conjugation: ijimerareru 苛められる, "to be bullied." An urekko 売れっ子 is a ko 子 that "sells," ureru 売れる. This one is (hopefully) not a child. It could be, for example, about a model or actress that's popular and famous and sells a lot of... whatever they're selling. This word follows the same principle as odoriko 踊り子: the ko 子 is nuanced to be cute. A suekko 末っ子 is the "last child," or, looking at it from another angle, the "youngest child" of a famly. Why does this happen? Well, I don't know. Apparently, names that end with ko 子 became overwhelming popular for some reason until the 80's, when their popularity began to decline. They're still kind of popular today, just not as popular as they were seventy years ago. I guess people got tired of them. Anyway, what's important is that, because ko 子 is a common suffix in girls' names, it's sometimes possible to guess someone is a girl because their name ends in ko 子. Well, sometimes that backfires hilariously, though. Context: Tenma was looking for books about romantic relationship advice, when she came across The Art of The War, by Sun Tzu 孫子, a general from ancient China, and mistook it for love advice rather than a book about military strategy. She misreads Sun Tzu's name as Sonko. As I thought, a woman would understand a woman's heart! 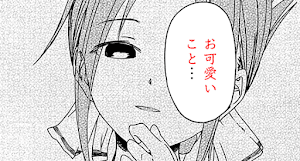 Tenma assumes "Sonko" is a woman because of the name. The male counterpart for this, if there's one, would be rou 郎. There are many male names ending with rou, tarou 太郎, ichirou 一郎, jirou 二郎, saburou 三郎, etc. Specially because those are some (utterly lazy imho) "counter" names. Sometimes in manga and anime, situations involving gender-bending end up requiring characters to come up with names for themselves on spot. Since naming stuff is very hard, it's a trope for the character to simply take their own name and add a ko 子 or rou 郎 to its end. 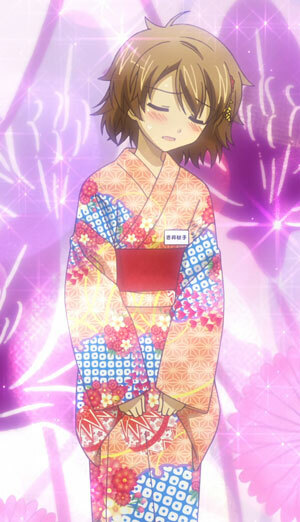 For example, in Baka to Test to Shoukanjuu バカとテストと召喚獣, the character Akihisa 明久 becomes Akiko 秋子. See Alias, Fake Name in Crossdressing for reference.